Many hands were part of this huge project and its process. Special thanks to: Francisco Fuenmayor who is the co-creator of most of the artworks. Thamara Fortes who was the spatial head of Habitat III. Rosa and Ana, who coordinated and gave the narrative to our work. Design: Visual Identity, City Branding (Quito, Ecuador), Venue Branding (in 14 Cities), Merchandise, Stage Design, Publications, Printed and Digital promotional material. Creation of the visual identity of The United Nations Conference on Housing and Sustainable Urban Development. Quito, Ecuador, October 2016. Habitat III had a preparatory process which included events in 14 cities around the world: Barcelona, Toluca, Mexico City, Prague, Abu Dhabi, Montreal, Tel Aviv, Jakarta, Surabaya, Nairobi, Cuenca, Abuja, Pretoria. The Habitat III Conference was a historic opportunity to change the way we think about, manage, and plan cities. Being able to articulate this paradigm shift in very clear and compelling terms was crucial. 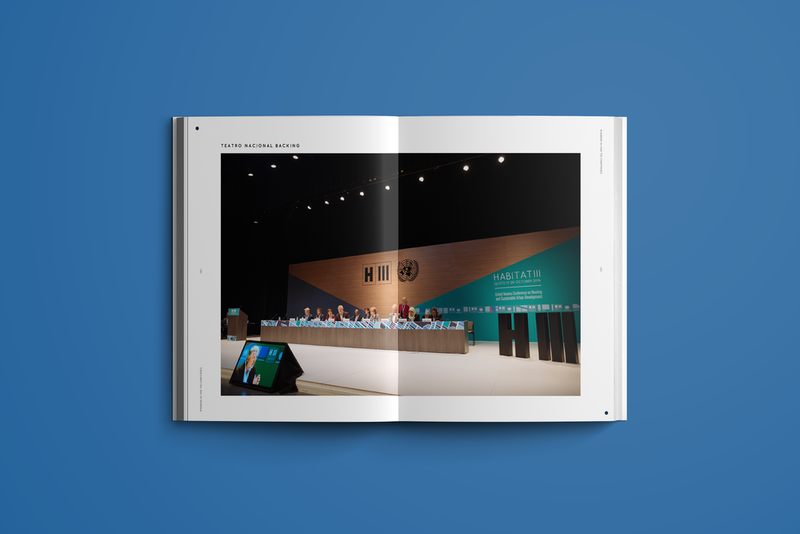 A key element of the onset of the Habitat III process was the creation of the Habitat III visual identity, including graphic design elements, that would be able to visually communicate the goal of the Conference to reinvigorate global commitment to sustainable urbanization. The brand became much more than a logo and graphics. It generated a set of visual assets that people recognized and learned to associate with Habitat III and the New Urban Agenda, as well as a tool that partners could use in promoting their role and contribution in the preparatory process. At first glance, the Habitat III logo may simply come off as an “H” and “III” inside a frame. 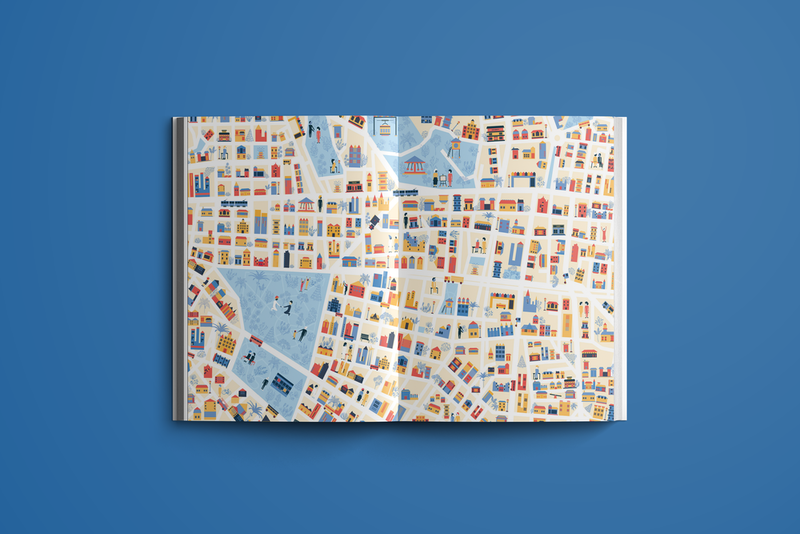 But the narrative behind the creation of the logo enables a better understanding and appreciation of how Habitat III’s visual identity truly communicated the story of people and cities.